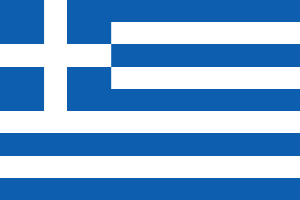 Greek salad is by far the most popular Greek recipe worldwide. And it’s hardly surprising. After all, for most of us who have visited Greece as tourists, some of the most enduring memories are those of sitting on wicker seated wooden chairs at a sun dappled taverna table, eating a glorious Greek salad with hunks of crusty bread from a basket beside it. 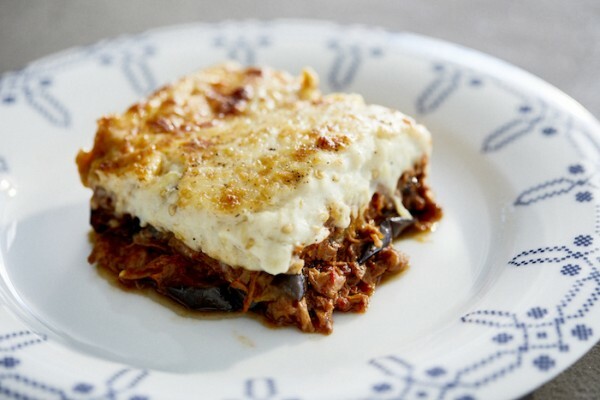 It is the accompaniment to almost every Greek island meal and even serves as a lunch by itself when taking a break from swimming in that azure water! When it is thoughtfully made, nothing can beat a Greek salad. However, let’s be honest. Some tavernas think it’s quite enough to slap a few cut-up tomatoes, cucumbers, peppers and onions into a bowl, stick a slab of feta cheese on top and douse it in some indifferent olive oil. 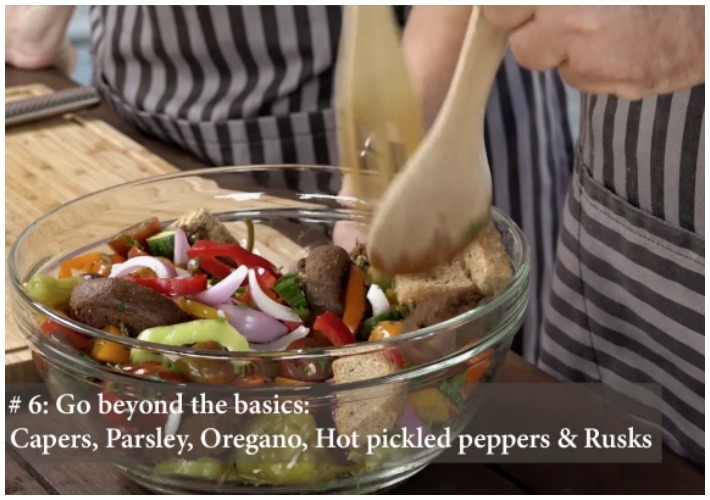 Even videos on the internet, professing to make the best Greek salad, come up with rather boring results, often deviating from the original recipe without improving it. 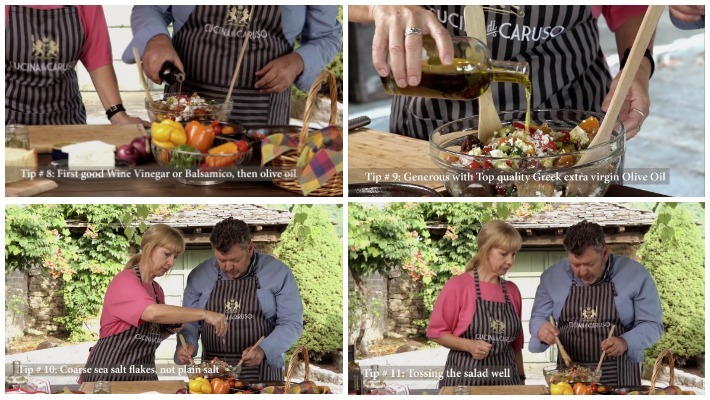 Therefore we decided to show our international audiences how to make the ultimate Greek salad in your own homes. 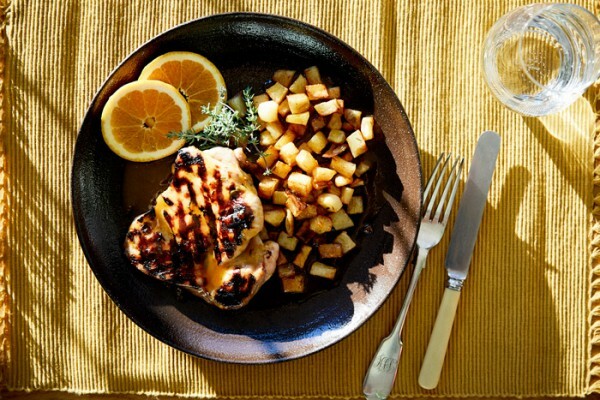 Now you can bring some of that golden Greek sunshine into your kitchens! So first, a little background. 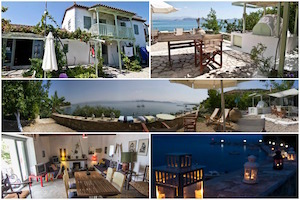 Although we tend to imagine that Greek salad must have been around for ever – perhaps what Socrates would have had on his lunch break after a hard morning’s philosophising – in fact it was thought up by Athenian taverna-owners as recently as the 1960s, at the beginning of the mass tourism industry in Greece. It was their way of adding value (and profit!) to their salad of tomato and cucumbers on which the state had imposed a price control. By adding feta cheese and naming it Greek salad, they escaped the pricing control and created Greece’s most famous dish while getting a higher margin. So now you could think of Greek salad as a product of free market ingenuity! 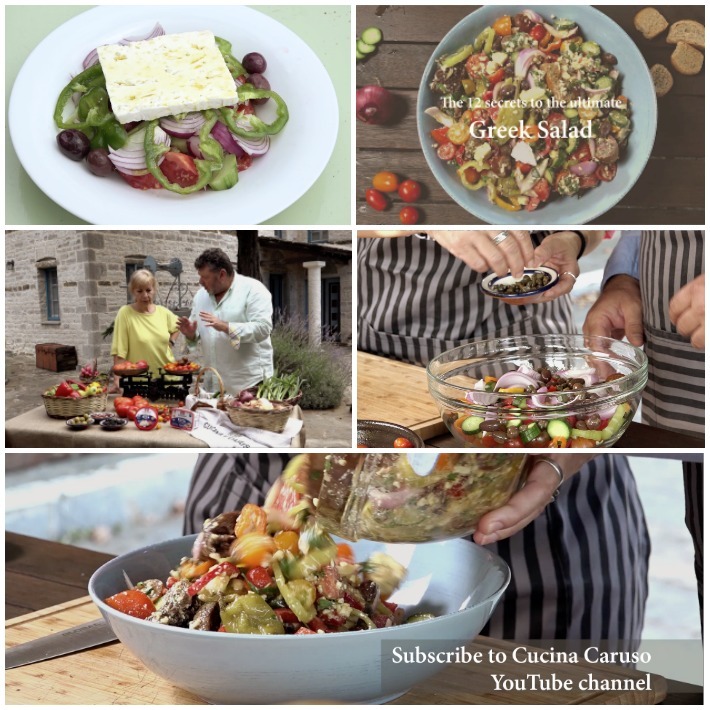 Having made and tasted Greek salad in Greece and abroad thousands of times, we have come up with 12 tips which really do make this the best Greek salad you have ever tasted and will give you the same fantastic result whether you’re making it in Oslo, Kyoto, Melbourne or Pipe Creek, Texas! 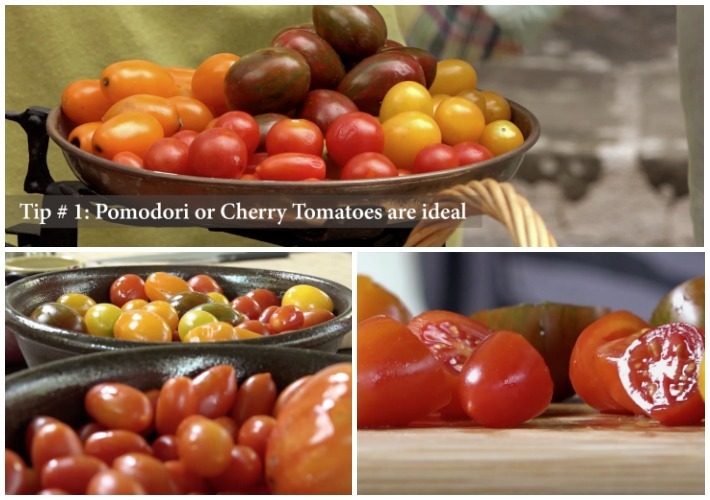 When choosing between big tomatoes, don’t go for perfect looks! The rule of thumb is that the uglier the tomato, the tastier it is! Ideally, look for special varieties by local organic producers in farmers’ markets. Also, look for tomatoes that are very ripe, not too firm, because you want their juices to blend into the Greek salad. But generally, go for pomodori mini tomatoes or cherry tomatoes of different colours. Always go for taste, not shape. These smaller types of tomatoes tend to be tastier and juicier and easily available anywhere in the world. Even in Greece, we tend to use these instead of the big tomatoes, especially during the winter. Use different colours or varieties of peppers to add vibrancy to your salad. 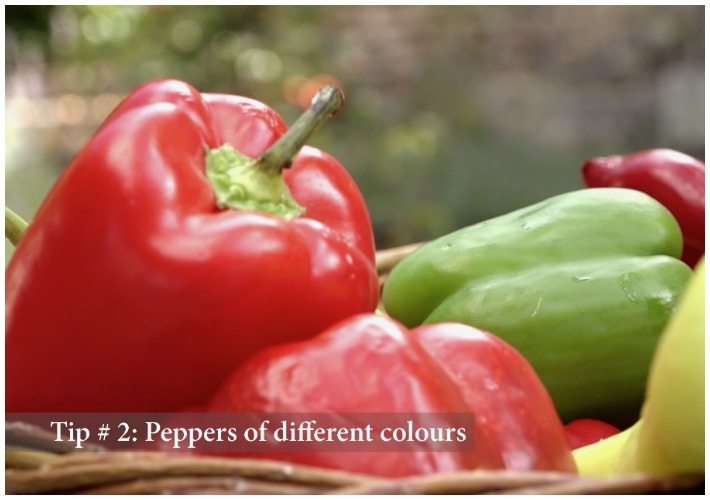 It is these different peppers that will make your Greek salad a Mediterranean celebration of colour! When it comes to onions, you want to taste their spiciness and heat contrasting with the other ingredients, so go for red onions. But if you want to make a more elegant and mild Greek salad you could also use shallots or spring onions. Of course, the key ingredient which transforms a humble vegetable salad into a glorious Greek salad is feta cheese, which, thank goodness, is now readily available abroad! We use the top Greek feta brand, Dodoni, which is also the leading brand internationally. 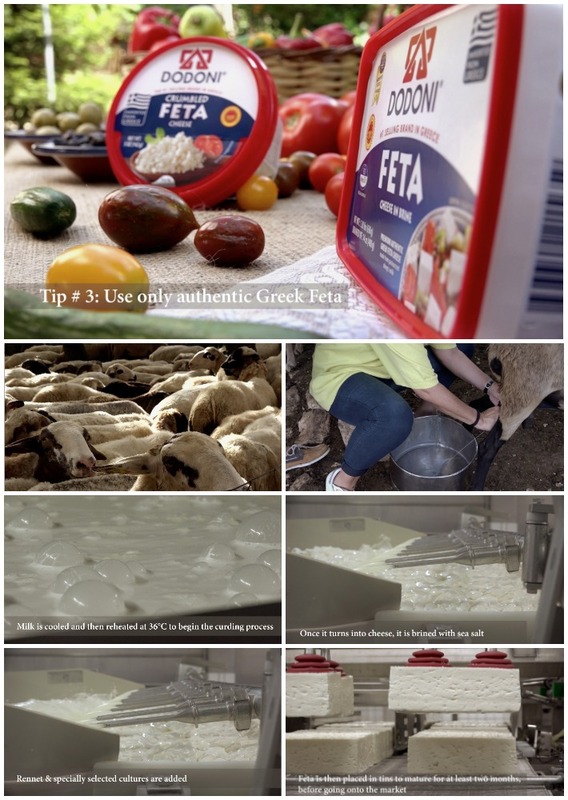 Genuine Greek feta (P.D.O.) is, by law, made exclusively of sheep and goat milk. This is what gives it its distinctive tangy flavour and distinguishes it from cheap tasteless white cheese imitations made out of cow’s milk. Dodoni feta is made from the milk of sheep and goats which graze feely in the mountains of Epirus in northern Greece. Tomatoes should be at room temperature to release their full aroma and flavour. The best way to enjoy a Greek salad is to make sure you get a combination of ingredients in every mouthful. So cut the veg bite-size. This is a detail that makes all the difference! Most Greeks use Kalamata olives, famous around the world. 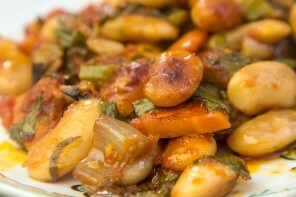 They have the ideal texture, bitterness and flavour intensity to complement the other ingredients. But of course, you could go for another type, as long as they have enough flavour … and are Greek of course! 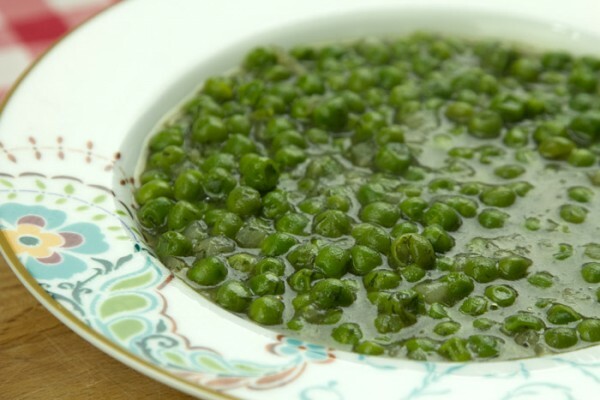 A must for your ultimate Greek salad are capers which have been rinsed. Then, you also need the aromas from fresh parsley and of course oregano, either fresh or dried. Now, if you want a bit of extra oomph, you can add a few hot pickled peppers. 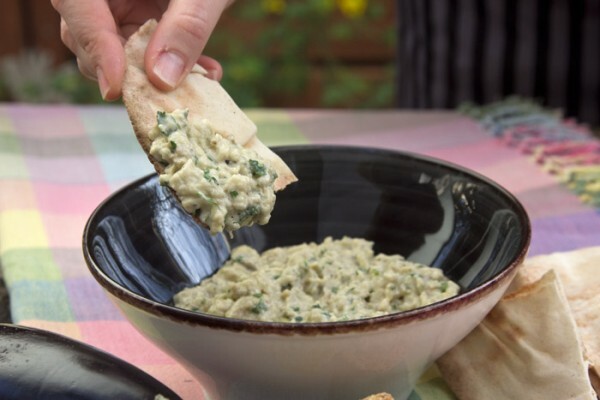 And finally, you could add a few rusks (dried toasted bread) to give some crunch. 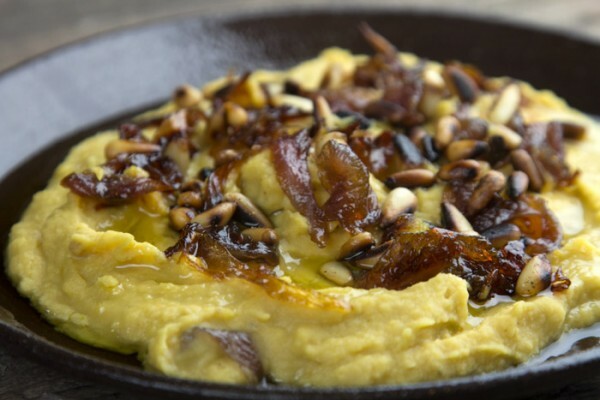 Our favorite are carob rusks which add sweetness along with crunch and are really healthy! As we mentioned earlier, when you order a Greek salad in a taverna it generally arrives with a slice of feta cheese on top, but this is just so that the customer can see that the taverna has put the legally required amount of feta onto the salad! At home, you want the feta in your Greek salad to be crumbled into bite-sized chunks so that it mingles evenly throughout the salad. You can now even buy your feta cheese ready crumbled if you wish! 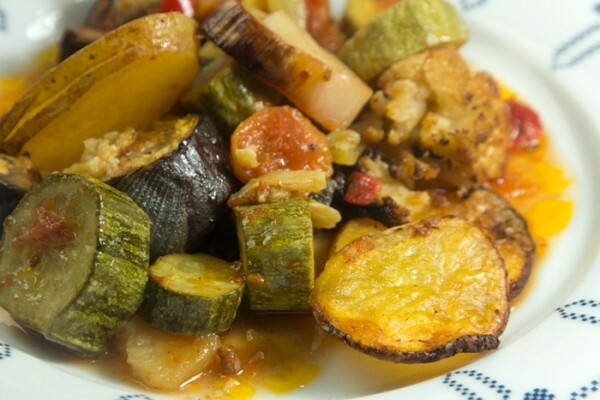 First pour on the vinegar, then the oil – otherwise the vinegar will slide off the vegetables and you’ll lose some of its flavour. You can use up to 1 tbsp. of a good quality red-wine vinegar, but we prefer white or red balsamic vinegar. 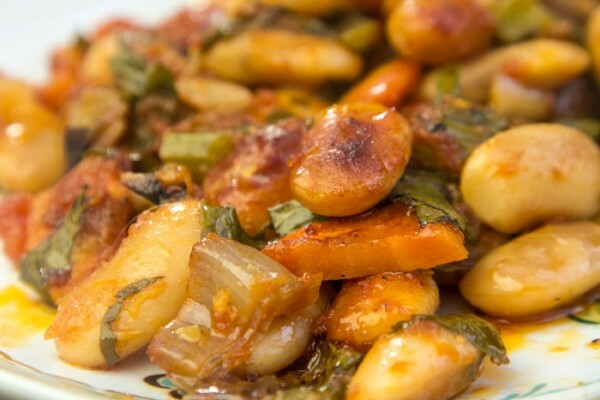 It adds a sweetness that balances the intensities of the other flavours. As for olive oil, we cannot emphasize enough that you have to use the best quality extra virgin olive oil you can find. This would generally be a Greek brand! 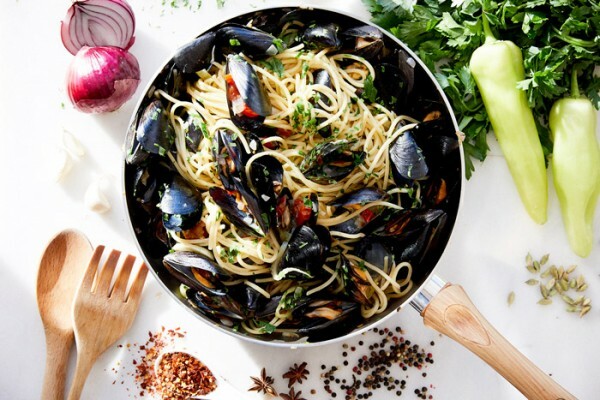 Don’t be frugal with the olive oil. You need to be generous! You need about a 100 ml for a large salad bowl. Olive oil is extremely healthy and a key flavour in your Greek salad, not just an afterthought! Ideally, sprinkle with coarse salt flakes rather than table salt. Trust us – it makes a difference! You need to toss the salad well before serving, so that every crumble of feta gets on all the vegetables along with the olive oil, vinegar and herbs. Tip # 12: Dunking the bread: The sacred Papara ritual! This is the best part of enjoying your ultimate Greek salad. All Greeks do what is called “papara”. They take a chunk of bread and they dunk it into the olive oil at the bottom of the bowl where it has collected with the tomato juice, tiny crumbled pieces of feta and the odd remaining slice of onion and scoop it all up in one heavenly mouthful. It’s an essential part of the Greek salad ritual! 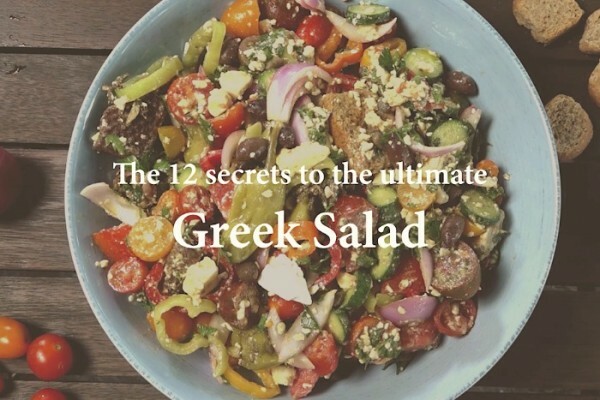 So now you know the 12 secrets to making the ultimate Greek salad at home, however far from Greece you may be. 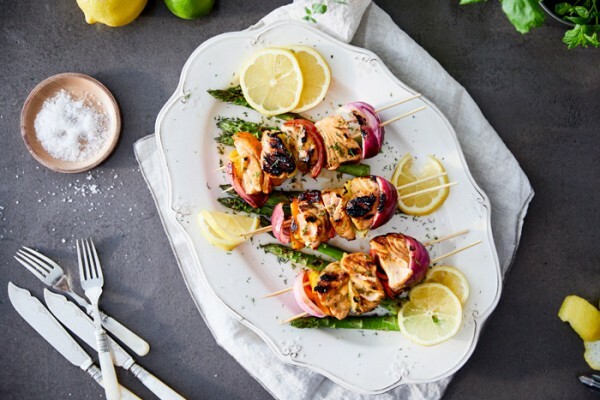 You can bring that sun-drenched beach-side lunch table right into your kitchen! 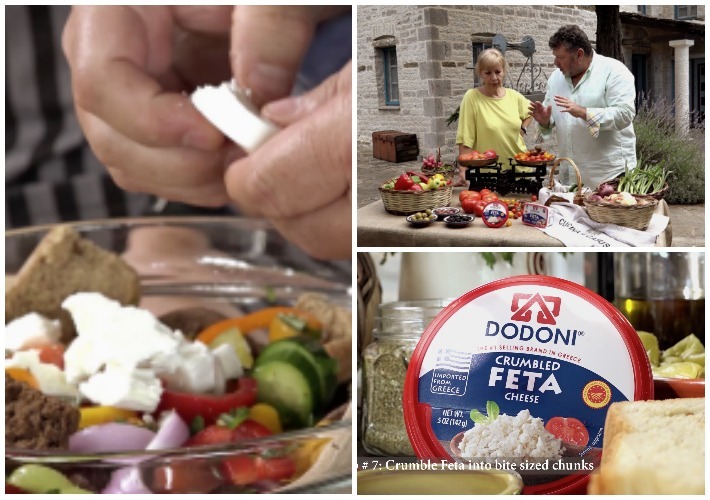 Our video of the 12 tips to making the ultimate Greek salad was made possible thanks to Dodoni S.A.’s generous sponsorship and thus we filmed it in the spectacular mountains of Epirus in northwestern Greece, where Dodoni feta cheese is made. 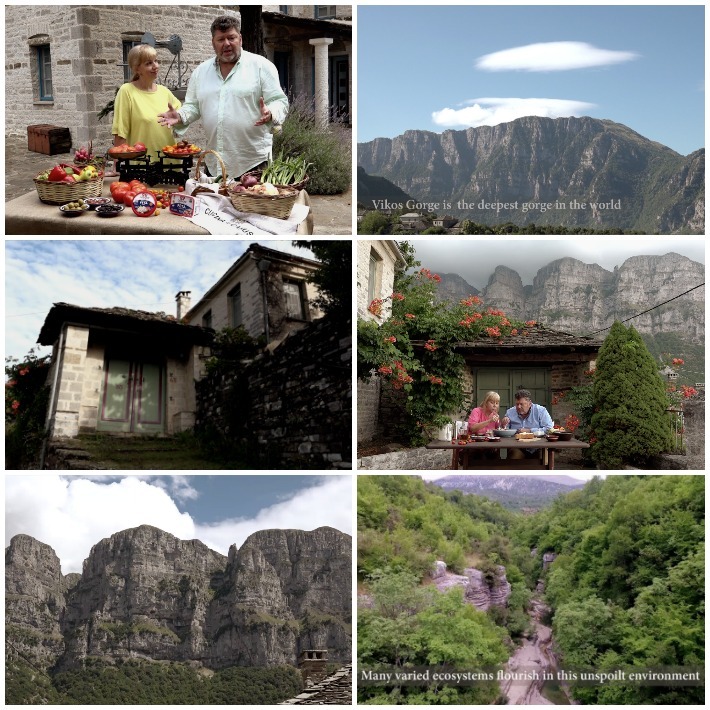 We filmed the tips in the exclusive resort of Villa Zagori, in the beautiful village of Papingo, which offered us its warm hospitality. We travelled to the area of Zagori in style and comfort in a brand new Porsche Cayenne S, thanks to the kind offer of Porsche Hellas, celebrating the 70 years of our favourite car brand. Thanks to all our sponsors and the production crew for all their help and support in making this first international production of Cucina Caruso. And a very special thanks to the famous Greek composer Platon Andritsakis for the original music score based on Epirus traditional music.